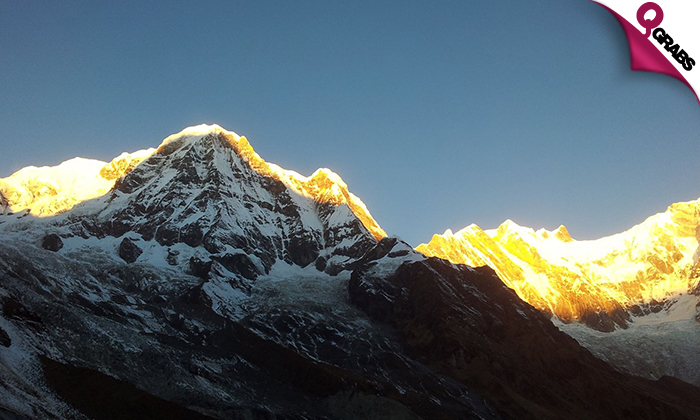 13 Days Annapurna Base Camp Trek through Nepal INCLUDING Sightseeing, Meals and more! 3 Star hotel accommodation in Kathmandu and Pokhara including Breakfast. Teahouses/Lodge accommodation including Breakfast/Lunch/Dinner during the trek. Farewell dinner at the end of the trek in Kathmandu. 19% off an unforgettable trek! One of the representative from Himalayan Sanctuary Adventure will be waiting for you outside the international gate holding your name placard and transfer you to your hotel. After breakfast, you will be driven to pokhara by private tourist coach and will be transfered to your hotel in Lakeside. You will have a free afternoon for exploring, shopping and sightseeing around lake city Pokhara. In the evening, you will be briefed about your trek and will be given time for final preparation. You will be driven to Naya Pul where you will start the trek. You pass through sub-tropical valley forests, sometimes on the carved trail on the side of the cliff. After lunch, we cross the Bhurungdi Khola (river) via a bridge to the village of Tikhedhunga. You reach Tikhedhunga by late afternoon. higher part of the Ghorepani village that offers panoramic views of the surrounding mountains including Annapurna South and Nilgiri mountains. Since Ghorepani lies quite higher than our previous stop, we begin to feel the chilly weather especially in the evening. Dobhan, later crossing several avalanche chutes before reaching the small village of Himalaya Hotel. As the altitude increases, the forest gives way to alpine scrub and grasses. The valley walls steepen with the river raging far below. Explore the cave at Hinku before crossing a ravine and major avalanche track prior to reaching Deorali (3,230m/10,598ft). 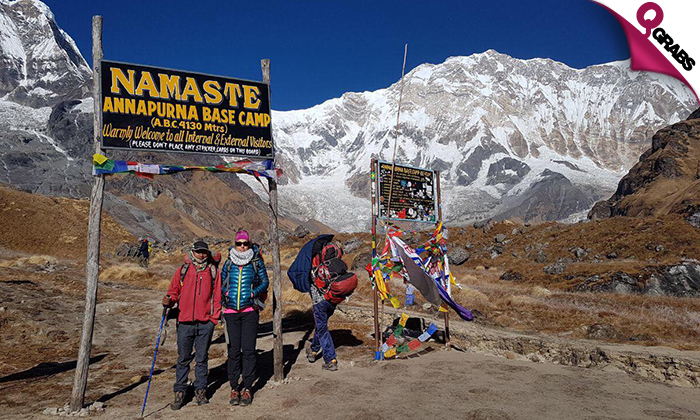 Breathtaking views into the sacred Annapurna Sanctuary gradually appear as the trail heads over a ridge and climbs to the Machhapuchhare Base Camp (3,700m/12,136ft). Another two hours slow walk up grassy slopes leads to the Annapurna Base Camp hotels on the Annapurna South glacial moraine – Approx. 3,900m/12,800ft beneath the peaks crowning the surrounding ice walls. This day’s route descends to the Chhomrong Khola before climbing the stairs back to Chhomrong. It then descends steeply to Jhinu Danda for lunch and a dip in the hot springs at the river below the village. Overnight stay. After breakfast, commence your return journey back to Kathmandu. Upon arrival in Kathmandu, you will be transferred to your hotel and taken for a cultural dinner in the evening. The driver will transfer you to the Airport for your international flight.